With a population of 623, 769 and a median household income of $49, 676, Las Vegas is a resort city renowned for its vibrant nightlife that centers on 24-hour casinos among other entertainment options. The city within Nevada is constantly brimming with tourists who seek fun and entertainment. However, those struggling with drug abuse and addiction; this is far from the case. If anything, living in Las Vegas for those dealing with substance abuse and addiction can be overwhelming, scary, and lonely. In fact, statistics reveal that the city is a serious hub for drug dealers and traffickers. As a state, Nevada is among the 10 American states where the epidemic of unlawful drug use has emerged. After all, the state is incredibly close to the Mexico border, resulting in high drug trafficking rates, with meth posing a huge threat to this state. Fortunately, those seeking to live a drug-free life can access the various drug rehabilitation facilities. As the state battles to contain the increasing alcohol and drug abuse menace, various facilities are making a presence by providing new and distinct approaches to counteract addiction issues. Bear in mind that they vary in the implemented treatment approaches, program costs, and staff efficiency. Therefore, selecting the suitable facility can be a task for the affected families. If you live in Las Vegas, and have fallen victim to substance abuse don’t hesitate to seek treatment. There are enormous resources in at your disposal. Besides gambling, there’s no pastime that defines this city’s culture than drinking. The city’s casinos provide plenty of drinks to customers and several of the drinks are free, thereby leaving clients intoxicated and waste their money on gambling. With a few exceptions, people drink overtly in the streets. Therefore, it’s not uncommon to see a tourist sipping alcohol from a plastic cup along Las Vegas strip and it’s not difficult to obtain alcohol even though the drinking age is 21 and above. Unlike Utah, which has restricted establishments that sell alcohol, Nevada is nearly a free-for-all when it comes to drinking. You find that drug addiction together with alcoholism is a key life-threatening issue in Las Vegas. According to NASIC or National Alcoholism and Substance Abuse Information Center, Reno and Las Vegas have garnered NV a global repute for excess and vice. 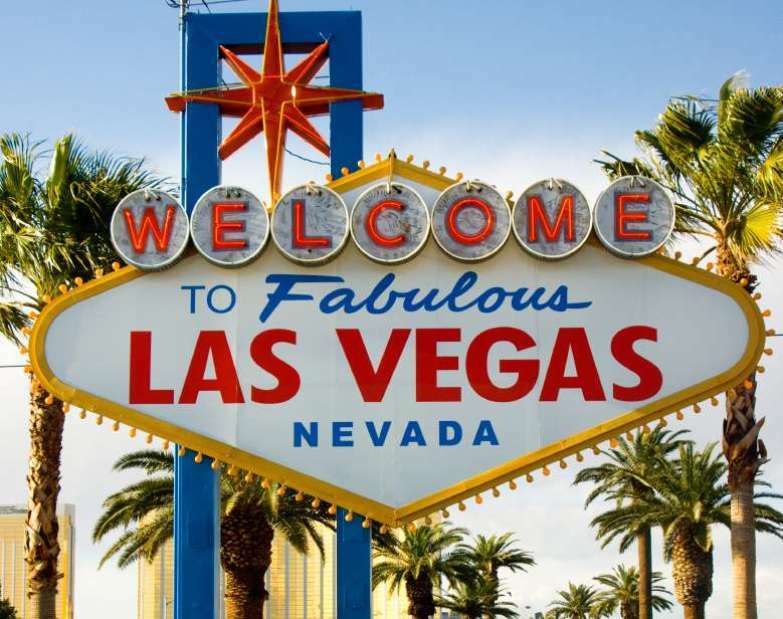 According to NASIC, the NV state, specifically the cities or Reno and Las Vegas are home to one of the most flourishing unlawful legal markets worldwide. The fact is that several businesses are set to sell alcohol in Las Vegas and it’s not difficult to spot drug dealers on the streets, making it a nightmare for an alcohol and drug addict seeking treatment. According to a national study conducted by a nonprofit organization, NV ranked 11th nationwide in drug and alcohol suicides and deaths in 2015. The same report revealed that 350 deaths occurred daily due to alcohol use, drug overdoses, and suicides. In 2015, drug overdose deaths were 21.4% per 100, 000 while alcohol-induced deaths stood at 15% per 100, 000 and suicide deaths stood at 19.3% per 100, 000. Current government data reveals that over 23 million Americans suffer from drug or alcohol addictions. Substance abuse has cost the U.S. billions of dollars in the last numerous decades; the general cost is in the range of $600 billion, with more going to Medicaid and Medicare efforts. However, the mental and emotional cost of substance abuse is not only higher but also more challenging to measure. Every state has a distinct story when it comes to substance abuse and its residents have had similar effects yet in distinctive ways. Nevada has one such unique story of substance abuse. When you think about alcohol and drug abuse in association with NV, Las Vegas is likely to come to mind. However, while it’s known as “Sin City,” substance abuse doesn’t start and end there. Reports reveal that the entire NV state is in the throes of an alcohol and drug epidemic, with meth, alcohol, and prescription pills being the commonly abused substances. According to data, the state ranks third out of the top 5 in the proportion of residents who are dependent on unlawful substances. It’s also the second nationwide for non-medical use of oxycodone and hydrocodone. The sales of oxycodone per capita have increased 366% in the past 10 years while those of hydrocodone have increased 233%. In terms of alcohol abuse, the rates have remained above or at the national average for several years. Moreover, the proportion of Nevadans who report requiring alcohol treatment but don’t obtain it surpasses the national average. Arguably, the state’s youths are the most susceptible to alcoholism. Another concern is the fact that NV youth are recording high rates of unlawful drug use, non-medical use of painkillers, and marijuana use. In 2009, they accounted for 3.6% of the total heroin admissions statewide whereas their rate was 0.5% nationwide. This occurs when you keep the narcotics physically on you. This arises when you store narcotics in a familiar location, for instance hiding an oz. of cocaine or meth in your dresser. This occurs when two or more individuals share ownership or control over similar narcotics. In 2015, meth and heroin were the biggest problems affecting Las Vegas although cocaine and other drugs are huge problems in the state. Like several of the southwest border states, NV must fight off considerable problems with cocaine and heroin with the latter posing more of a problem. To begin with, heroin is easily available. After all, NV is on the way to California, so several of the DTOs ensure they make stops in NV on their way through. Another consideration is that the cost is lower in the state than in other parts of the nation. Therefore, numerous people will go to NV to obtain it. While the usage rate may be decreasing slightly, it’s still of a great concern to several people who live around and in the area. Meth is another huge problem in NV, for several of the same grounds that it’s an issue in other states with huge areas of land. Meth manufacture is high; law enforcement usually seizes more than 100lbs annually. Most meth labs only manufacture some ounces at a time, and law enforcement seizes these the most. This is why the drug continues to be a statewide problem. Mexican meth is reputed for being some of the purest worldwide and a considerable portion goes through NV en route to the Pacific Northwest and California. Of course, Las Vegas is one of the major areas it goes through, but you’ll find methamphetamine in Reno as well as other areas. Although considerable endeavors have taken place to slow it down, the outcomes haven’t been incredibly fruitful. Mexican Drug Trafficking Organizations are the major wholesale distributors of ice meth, marijuana, and cocaine in the region. The traffickers usually retain distribution cells in the region. Those operating in Clark County obtain their supply from associated Mexican cells in southern Arizona, southern California, and western Mexico while those operating in Washoe County usually receive their supply from affiliated Mexican cells in central and northern California. Asian DTOs have come out as distributors and suppliers of high-potency marijuana and MDMA in the region. According to reports, law enforcement reveals that Chinese traffickers with links to Northern California are supplying huge quantities of MDMA to the Las Vegas area. The abuse and trafficking of meth pose the most considerable drug issue in this area. Furthermore, meth abuse and trafficking are the principal contributors to violent crime and property crime. Over the past numerous areas, legislative efforts and law enforcement endeavors to restrict the availability of meth precursor chemicals, for instance, pseudoephedrine and ephedrine caused a considerable reduction in domestic powder meth manufacture in the region. Hispanic street gangs and Mexican DTOs exploited the reduction in local production fast by supplying increased quantities of Mexican ice meth to the region. Other drugs that people abuse in the region include Mexican marijuana, powder cocaine, and brown powder heroin. Criminal groups and Mexican DTOs distribute considerable quantities of the marijuana, heroin, and cocaine that flow into the region. The state takes the sale or possession of meth very seriously. To this effect, judges may impose fines or jail imprisonment. The drug falls under schedule II drug and users typically inject it intravenously, snort, or smoke it. The possession of crystal meth is a felony in NV. For first-time offenders, judges are typically ready to dismiss the charges and forgo prison. In return, you may have to complete NV Drug Court-a rehab program that lasts approximately a year. The program is an alternative to imprisonment but not everybody is eligible for it. In Las Vegas, it’s a felony to possess meth with the intent to sell it. It’s possible for a first-time offender to face probation without imprisonment. NV trafficking laws are applicable when the quantity of the drug involved is 4 grams or more. Bear in mind that punishment increases in the event that it weighs 14 g and they could increase even more at 28g. On February 9th this year, media reports reveal that two women allegedly tried to smuggle meth into Ely State Prison in Nevada, leading to their arrest. During the incident, law enforcement seized 27 grams of meth from the women who hail from North Las Vegas. Detectives arrested them in relation to the smuggling scheme. According to the Department of Public Safety, each faces numerous drug trafficking charges. Currently, they’re being held on $150, 000 bail. In a separate incident, authorities arrested 23 people this year on February 16th after a month-long investigation. The Sheriff’s office at Carson City revealed that the arrests occurred throughout seven search warrants at varied locations within the city. The operation led to the seizure of 13.5 oz. of meth; 4 oz. of heroin; 2 oz. of cocaine; 245 prescription pills; and 12 firearms. Authorities say they also seized nearly $7, 000 in cash and 2 cars. Coined as meth capital, NV has one of the worst methamphetamine problems in the U.S. Research reveals that 6.2% of high school youths have used the drug at least once in their life and 76% of law enforcement agencies report that meth is the most abused in the southwest. Categorized as a schedule II because of its high abuse potential, meth is fundamentally a CNS stimulant drug. Although it’s rather similar to amphetamine when it comes to structure, meth is only accessible through prescriptions in which the doses are typically low in comparison with the amount that’s frequently abused. The drug elicits an intense rush that generates euphoria, making abusers feel very good. When ingested, it takes a comparable composition to the dopamine-a neurotransmitter that produces feelings of happiness and joy. Deceiving the brain into believing that the drug is actually dopamine, the drug has the ability to produce the happy sensation while stimulating the manufacture of additional dopamine. The drug also affects serotonin and norepinephrine levels further, causing effects such as increased anxiety, blood pressure, paranoia, and inconsistent heartbeat. Although the intense rush might last from 6-24 hours, crashing lows often follow the highs, forcing the user to seek more to maintain the highs. Once addicted, methamphetamine users undergo health deterioration, with most addicts suffering from tooth decay while others experience incessant itching on their skin. Meth addicts are also reportedly quite violent, which is why NV law enforcement considers meth addiction a big issue to state security. In an effort to control and decrease the growth and spread of meth addiction in NV community, community leaders have decided to step in as well by adopting various measures. For instance, they aired a documentary last year with the goal of educating the community. Families, county services, and juvenile services have equally waged a war against the addiction in NV. With the increased physical pressures and stress levels, the number of drug addicts worldwide is increasing rapidly on a daily basis. In fact, more people have begun relying on drugs to cope with their stressful life. The fact is, various drugs enhance physical strength and help you cope with stress levels if taken as a prescription. However, few people can resist temptation and begin taking additional doses, resulting in uncontrollable addiction. Bear in mind that addiction is fundamentally a psychological disease, which affects the capabilities and potential of the addict. It’s essential to offer addicts effective treatment to help them live a happy and peaceful life. Owing to the superior corrective measures initiated by the health fraternity over the past decade, numerous techniques exist in the present times to help the addict deal with the addiction in an easy and smooth manner. The first step to eliminating the addiction is enrolling in a reputed and good rehab facility. These facilities comprise a team of highly skilled and qualified doctors and therapists that offer the best possible rehabilitation treatment. These facilities center on quitting the drugs totally. They give addicts the chance to remain in a closely supervised setting where they’re offered timely counseling sessions and therapies to help overcome the addiction. These services benefit those with a better sense control and can finish a program without losing their focus. Such programs permit the recovering addicts to maintain their daily routine, for instance, school, college, and family responsibilities. Outpatients will typically attend counseling and therapy sessions regularly until they overcome the addiction completely. Working professionals mostly consider the option in which addicts frequently seek assistance from an addiction counselor or therapist on an individual basis. Additionally, those who are uncomfortable in group therapies or wish to protect their identity also seek services from private therapists. These types of programs typically reveal benefits in a short time because of individualistic approach. This process involves defining the nature of the addiction, establishing a diagnosis, and formulating precise treatment recommendations for tackling the diagnosis or problem. While it may differ across facilities, the purpose of this step is obtaining as much information as possible about you through an in-depth interview once you’ve checked in. This step offers the tools necessary for recovery. It can prevent fatal or unpleasant consequences originating from the abrupt cessation of use. It can help the addict abstain from drugs. These facilities are extremely organized, structured, and provide the most supportive and safest setting for healing and recovery. With such a facility, you’ll live there full-time and receive treatment until your discharge. This describes any ensuing interventions that follow the preliminary treatment. In this case, it refers to the additional support an addict receives after his or her release from the residential part of the treatment program. It may take place in the form of booster sessions, support groups, or follow-up meetings. These homes provide housing and structure for persons in the early recovery stages. Most often, inpatient facilities discharge the addicts before becoming residents of such homes. While the effects of drug addiction are far reaching in the state of Nevada, the government and the relevant stakeholders are undoubtedly making considerable efforts in curtailing the threat. Like most states, NV attempts to curb substance abuse but experiences shortfalls in various areas. While it’s home to numerous alcohol and drug rehab facilities, addicts along with their families frequently struggle to locate the best one. Reports reveal that the facilities may be attempting to integrate numerous new approaches at once. Although new and creative treatment methods are good, too many could overwhelm clients and compromise their recovery. Access to alcohol and drugs is another huge problem for residents, particularly among teens and preteens. Reports indicate that teens become prescription drug addicts because they’re noticeable in their parents’ drug cabinets. Critics also feel that Nevadan physicians over-prescribe hazardous painkillers, making it harder for addicts to identify their issues and start recovery. Reports also reveal that physicians frequently lack information concerning substitutes to potent painkillers or exit plans once they prescribe hydrocodone or another possibly dangerous drug to their patients. Nevada’s demographics pose another distinct problem. As you might anticipate, substance abuse, particularly, alcohol abuse is associated with gambling in the state. While psychological and physiological research hasn’t uncovered the precise links between gambling and other addictions, NV treatment experts can’t deny the existence of a link. Problem gamblers have a high likelihood of developing other addictions, particularly alcoholism. You’ll find that gambling gains or losses often result in episodes of binge drinking, worsening existing problems. Furthermore, treatment experts frequently find it challenging to handle gambling and other addictions simultaneously. In fact, numerous treatment facilities aren’t designed to handle numerous addictions, leaving residents with partial treatment and the increased likelihood of relapse. At times, a state falls in this area because most of its resources are centered in one area. This is indeed true for NV where Las Vegas takes up considerable services. According to data, the crime rate in Las Vegas is 20% higher than the country’s average, and several of these crimes have an association with substance abuse. Drug trafficking is also widespread in the city, with black tar heroin and marijuana being the most popular. The smuggling of meth, which ranks as the number one drug in NV, commonly takes place in Las Vegas. Obviously, substance abuse professionals and law enforcement will devote considerable attention to the city, frequently leaving those outside the city with little resources. Consequently, addicts often travel to a different state, mostly Florida, to seek treatment. Drug addiction is a severe problem, so rehabilitation is by far one of the best means of dealing with the problem. In most instances, addicts should attend rehab in order to stop drug use completely. Actually, very few addicts manage to overcome addiction without entering rehab because addiction changes a person’s mental state, making it impossible to control the craving for certain drugs. In most instances, friends or relatives need to look for appropriate facilities for their loved ones since they’re in no condition to make logical decisions. It’s significant to note that selecting the suitable facility isn’t easy. Nevertheless, it’s very crucial because it enhances recovery chances. This is one of the most significant considerations to make when selecting a rehab facility. You must establish the types of treatments your loved one requires in order to select an appropriate facility. It’s imperative to note that various rehabs specialize in varied treatments. In addition, various rehabs provide varied kinds of treatment programs. The best facilities provide personalized care for precise types of addictions because that’s precisely what every addict requires to attain full recovery. Another significant consideration when selecting a facility is the degree of involvement. In most instances, the best facilities are those situated a distance from home since they increase the likelihood of faster recovery. However, it’s important to note that such facilities restrict your involvement in the entire process in case options exist, for instance, family therapy i.e. sessions that engage addicts along with close family members. Therefore, you must focus on selecting a facility that’s not situated too far that visitation actually becomes problematic. Your involvement level in the entire process is extremely crucial. It’s even more significant than the rehab’s location in most instances. However, it’s prudent you balance the two for enhanced recovery. It’s important you evaluate your funds to ensure you select the most affordable facility. Beware that these facilities aren’t cheap and very few people can afford months of treatment without making considerable sacrifices or budgeting. You should therefore, take the time to review your finances to establish the amount you can afford to spare to avoid financial problems. Typical treatment costs between $10, 000 and $15, 000 per session. However, this is dependent on factors including the kind of facility, treatment duration, and treatment programs. Therefore, you might find yourself using your savings or borrowing some cash from family members to pay for rehab comfortably. In such instances, you must factor all your costs otherwise; you’ll land yourself in more problems. For instance, you might find yourself in a position where you’re unable to meet your living costs and your loved one’s treatment. Concerning pricing, it’s vital to note that the best facilities don’t have to be the most costly. Therefore, you shouldn’t place more focus on the charges but the services offered instead. Consider choosing a facility that’s reasonably priced and simultaneously well equipped with good facilities and treatment programs. It’s vital to note that a rehab’s effectiveness is dependent on the success rate i.e. the proportion of cured addicts. Having the best services and experts doesn’t matter if a rehab’s success rate is low. You should focus on the treatment effectiveness instead. You must consider this aspect after considering the above factors to make a final decision. Most facilities’ success rate is below average, so ensure you choose facilities whose success rate is 70% and more. You’ll be surprised at the number of ineffective facilities there are once you consider this factor.